Have you seen them? No, not the people who are still celebrating Halloween or the stores already in holiday mode (we see you, Macy’s), but the stickers. The wonderful little red, white, and blue stickers that advertise your civic duty and also give you various food and beverage discounts. Yeah, those stickers. It’s Election Day 2014 and people have experienced a multitude of problems acquiring their “I Voted” stickers. Polling locations in Chicago are supposed to be open 6am-7pm, but many voters are complaining that the polls weren’t open. A school polling location did not open until 8am while another location, a restaurant, was forced open after 6am because the owner had yet to arrive. Officials announced that the restaurant will remain open for voting for an extra hour, however other locations that experienced late openings will still close at 7. “We ran into a number of issues,” Chicago Board of Elections spokesman Jim Allen said, citing staffing issues at some locations where only a few judges were present. This was the case in the 46th Ward where voters could not cast their ballots until 7:30am. Elsewhere in Chicago some people have reported having incomplete ballots and multiple polling locations have had problems with electronic voting machines, leading to voters using paper ballots. The problems are not limited to Chicago. The Georgia Secretary of State’s website, where many voters go to locate their polling location, crashed multiple times Tuesday morning. In Colorado, the Statewide Colorado Registration and Election system needed to be rebooted midday to fix technical problems that had been delaying voters. This system is used at every polling location in Colorado to verify that voters are registered and have not yet cast a ballot. It appears that these Election Day problems are split between staffing errors and technical glitches. Elections have been taking place for over 200 years, yet major problems always occur. It is one thing for a couple people to fail to arrive at their post and for a couple of computers to malfunction, but there are more than a couple people not showing up at their post and entire computer systems failing. Some people waited out the problems in order to vote, but many people have specific windows for when they can go to a voting location and cast their ballot. Because of their time constraints, the problems have either prevented them from voting entirely or have deterred them from trying. Is there a way to fix the system so that those who choose can receive their “I Voted” stickers problem-free? How would you manage the problems facing voters on Election Day? Do you think technical issues or staffing problems are easier to prepare and problem solve for? What can be done for future elections to try and minimize problems? Is there a way to make the voting process more efficient? Why Should the NFL Change? Fan or no fan, most people are aware of the recent PR nightmare for the National Football League which began when a video surfaced showing Baltimore Raven Ray Rice knocking his then fiancée, now wife, unconscious. Following the Rice video, Adrian Peterson of the Minnesota Vikings was arrested on child abuse charges, and multiple other NFL players were linked to domestic-violence incidents. With all these serious allegations you might think that the NFL would face some backlash, however TV ratings for the 2014 season have surpassed those of last year. Why? Football is the undisputed number one sport in America. In July of 2013 Sports Media Watch released a list of the 50 most-watched sporting events between January 1 and July 16 and of the top 10 most-watched events, the NFL had 10. That’s right, the most-watched sporting events of the first half of 2013 were NFL playoff games and number 11 on the list was the NCAA BCS Championship game between Alabama and Notre Dame. The 2013 Pro-Bowl Game, which is widely regarded as a joke, had higher ratings than any Major League Baseball game or National Hockey League game. Football, especially the NFL, has a strong hold on America’s televisions. In fact, it was the television that grew football. As televisions became common in households, networks looked for programming to fill the Sunday void. The scheduling of games fit the timeslots and the flow of the game was conducive to black and white televisions. In addition, the stoppage of play created the perfect, natural point to break for commercials. Now broadcasting deals generate around $5 billion for the NFL. The NFL has taken advantage of technologies with Madden, a $4 billion franchise that set the bar for sports video games. Madden is key for the NFL, which is trying to grow an international fan base. Although it may take time, the virtual world is connecting people more than ever before and the NFL is in position to capitalize on it. However, despite its broadcasting and gaming success, football could be facing new problems in the upcoming years. The recent flurry of domestic-violence incidents, criticisms of NFL Commissioner Roger Goodell, and a lawsuit filed by NFL cheerleaders have put the spotlight on female football fans. Women make up about 45% of the NFL’s American fan base and are the NFL’s fastest growing demographic, but the recent problems could be hindering growth. There is also a decline in youth football participation, which could be linked to another lawsuit filed against the NFL, this time by thousands of former NFL players for concussion-related claims. Do you think the NFL’s actions regarding the Ray Rice incident will harm them in the future? Does the NFL have any incentive to change its policies? Do you think the NFL will continue to have positive growth into the future? Is there a viable global market for the NFL? I think the NFL’s actions/reactions to Ray Rice will be a blemish on their record, but I don’t believe any long-term damage will come of it. As a female sports fan I would love to see more inclusive advertising or even acknowledgment that female football fans exist, but I don’t have any realistic expectations for the NFL to change its outlook. The only way I can see them changing is if over half of the 45% leave the game all together, but as a sports fan I can’t see myself dropping everything and cutting it out. 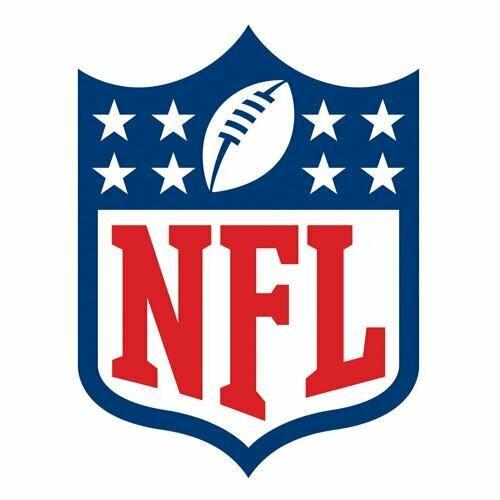 I am sure that the NFL will continue to grow as it discovers new avenues to expand the game and I will be interested to see if the National Football League catches on worldwide.